MiPet’s New Product Benazapet is now available…. 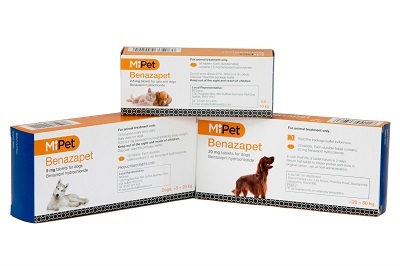 We are pleased to announce that our service provider, MiPet, have launched a new product: MiPet Benazapet Tablets for Cats and Dogs. Mipet Benazapet tablets belong to a group of medicines called Angiotensin Converting Enzyme (ACE) Inhibitors. They are prescribed for the treatment of congestive heart failure in dogs and for the reduction of proteinuria associated with chronic kidney disease in cats. Benazapet is available in 2.5mg, 5mg and 20mg presentations in a 56pk for both the 2.5mg and 5mg and a 28pk for the 20mg. These are available now from the MiPet website shop page.